In this article we hear about how the Indian town of Alappuzha, made drastic improvements in organic waste management. This article is the third in our “Waste & Climate Solutions” series, detailing zero waste stories from around the world. We are releasing this series to mark the final push before COP21, and will release a different climate and waste solution from a different region for the next 2 days until 27 September. The other articles in this series are São Paulo’s Commitment to Household Composting, and Boston Builds Solutions. In this article we hear about how the Indian town of Alappuzha, made drastic improvements in organic waste management, through the installation and community management of aerobic compost bins across the town. A move which will result in significant reductions in greenhouse gas emissions of landfilled organic waste. Whilst Alappuzha might be an exceptional case in India, it is hoped the model can be expanded to other towns and cities across the country. With the potential to revolutionise waste management as a climate solution in India. No other Indian State has been able to revolutionise municipal solid waste management in the same way as Kerala. Kerala has historically enjoyed social advantages such as total literacy, better healthcare, effective land reform and decent housing for almost everyone. This may not be the situation in most parts of our country. 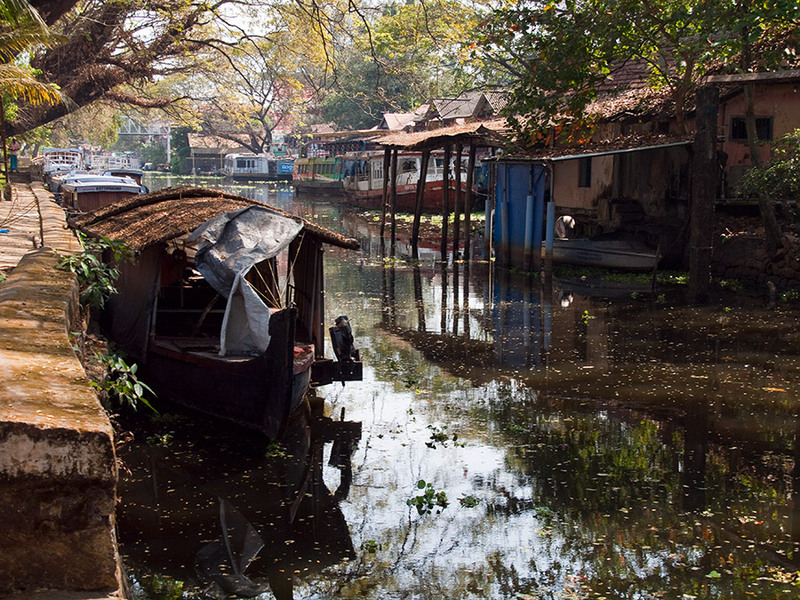 Nevertheless, there are significant lessons to be learned from Alappuzha. Alappuzha is a sleepy old town situated between the great Vembanad lake and the sea, nearly 60 kilometres south of Kochi. The port town, established by the king of Travancore in the late 18th century, had grown along the two trunk canals connecting the port to the great lake. The web of canals in the city and its surroundings earned Alappuzha the name, “Venice of the East”. It became the major port and industrial town in southern Kerala. 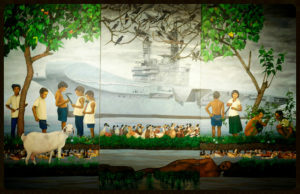 But by the 1970s, it began to resemble a ghost town, as its port was eclipsed by Kochi’s and the coir industry moved out. This decline continued till the late 1990s, when backwater tourism gave it a new lease of life. But by then, the canals had got silted and become garbage pits. The town also began to rapidly lose its architectural heritage, a process that has been marvellously documented by Laurie Baker through his inimitable sketches and comments in Alleppey — Venice of the East (1991). The insanitary conditions made the town an abode of ill health. In the state with the longest life expectancy and lowest infant mortality, we had a paradox of high morbidity, dominated by environment-related traditional diseases. 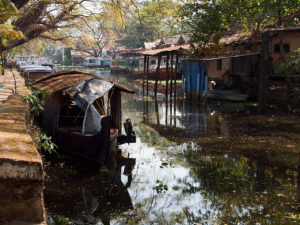 Alappuzha became notorious as one of the most unclean towns in Kerala, seriously jeopardising its future as a tourism centre. Things came to a head in 2001, when the transport of solid waste from the town to its central processing plant in the neighbouring Panchayat was disrupted. Though called a processing plant, it was really a dumping yard and an environmental hazard. The local population rightfully protested and blocked the movement of waste. The streets of the town were littered with garbage. Finally, an agreement was brokered with the protesters, reducing waste movement from 50 tonnes a day to five tonnes. The municipality pursued an aggressive policy of landfilling within the town, an evidently unsustainable policy. With centralised processing ruled out, at least for the time being, what was to be done? Scavenger’s Son (1947), the first novel of the Jnanpith award winner, Thakazhi Sivasankara Pillai, an illustrious son of Alappuzha, held a clue. The novel, narrating the story of three generations of scavengers of the town, created such a social stir that it put an end to the century-old institution of manual scavenging in Alappuzha. The human excreta dumping yard in Sarvodayapuram was used for other solid waste from the town. The human excreta depot shifted to latrines within the town itself. Almost all the houses in the town now have latrines that are either inbuilt or in the compound. This raised a simple question. If human excreta could be processed in our own houses, why not the little bit of kitchen waste? The town folk usually lumped together all sorts of waste into a plastic kit and demanded that the municipal corporation collect and process the garbage. It was the duty of the present generation of sanitation workers in the municipality to segregate the waste. A new edition of Scavenger’s Son was in order. That was how a people’s campaign for processing waste at the source was born. A change in mindset was required. Normally, all government programmes consider sanitation to be merely an issue of technological choice. This was our major point of departure. Our pilot project for 12 wards was funded by the sanitation mission of the government of Kerala. But then it was converted into a popular campaign for better sanitation. The approach was simple. Every household was to install a biogas plant or pipe compost to process its organic waste. Three wards have already achieved this. If, for some reason, a household was not able to process its waste, it should not be littering the street. Anybody caught doing so would be fined. The organic waste was to be brought to the collection points set up by the municipal corporation, which would compost it in aerobic compost bins installed in various parts of the city. The aerobic composting system in Alappuzha is an innovation by the Kerala Agricultural University where layers of organic waste and dry leaves are laid in a bin with sufficient ventilation. Inoculum cultured from cow dung is sprayed on dry leaves before a layer of organic waste is deposited over it. Each bin can process two tonnes of waste and in three months, high quality compost is ready. Instead of being garbage collectors and segregators, municipal workers now manage community compost bins. Initially, wherever we attempted to put the compost bin, there was stiff local opposition and the plans had to be shelved. So we chose the worst garbage dumping areas in the town to set up our compost bins. Nobody objected. Nothing could be worse than the existing situation. These sites were cleared and the sheds housing the bins decorated with plants and murals. The artists of Kochi Biennale lent their support in setting up the largest community compost centre, WATSAN Park. All meetings of the sanitation campaign are normally held at this park. Visitors and curious onlookers are amazed that there is no smell. The place truly has been converted into a park, with a vertical garden, poly house and flower pots. Thus, we broke the backbone of the opposition to community compost bins. There are two innovations worthy of mention in our biogas plant and pipe compost campaign. 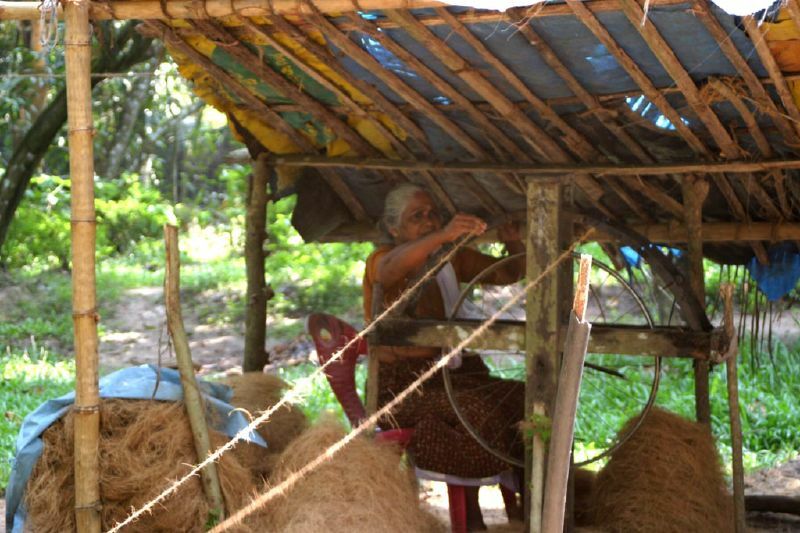 Heavily subsidised programmes have generally failed in Kerala and other parts of the country. There are two reasons for this. One, sufficient attention is not paid to user education. The service provider installs the plant, pockets the service charge and moves on. Even if user meetings are held, they are normally attended by the men who do not handle the waste processing. Because of faulty handling, most plants break down after some time. Second, there is no local maintenance team that could respond quickly to plant breakdowns. Sooner or later, the biogas plants and pipe composts are discarded and can become another hazard. Our campaign involves intense, targeted awareness programmes and also a maintenance team of two or three trained women in every ward. Commercial establishments are to segregate their waste and either process the organic refuse themselves or enter into a contract with a service provider to remove it. Most of the waste is further segregated as feed for fish, chicken or pigs. The rest is composted. Just through systematic segregation, most of the organic waste can be transformed into inputs for agriculture. The plastic waste is periodically collected and given to contractors for recycling. We intend to collect the e-waste and store it till the government establishes a centralised processing plant. The resident associations and the neighbourhood women’s groups of Kudumbashree are the main organisational support for the campaign. There is also a band of committed local resource persons, many of whom are experts with technical competency. Schoolchildren organised in WATSAN clubs are the main sanitation messengers to households. Every second Saturday, student leaders meet to chalk out certain simple activities that can be undertaken. Songs, street plays, exhibitions, marches and so on are effectively utilised for environment creation. Currently, efforts are being made to scale up the Alappuzha experience to the rest of Kerala. We cannot claim that we have achieved total sanitation in Alappuzha. But the difference between the situation two years back and the present is too marked for anybody to miss. Today, the transport of waste to the centralised processing plant has completely stopped. But the city is clean. No other Indian State has been able to revolutionise municipal solid waste management in the same way as Kerala.